All good things must come to an end, as some wise person once said. But that doesn’t mean that they can’t come to an end in style. 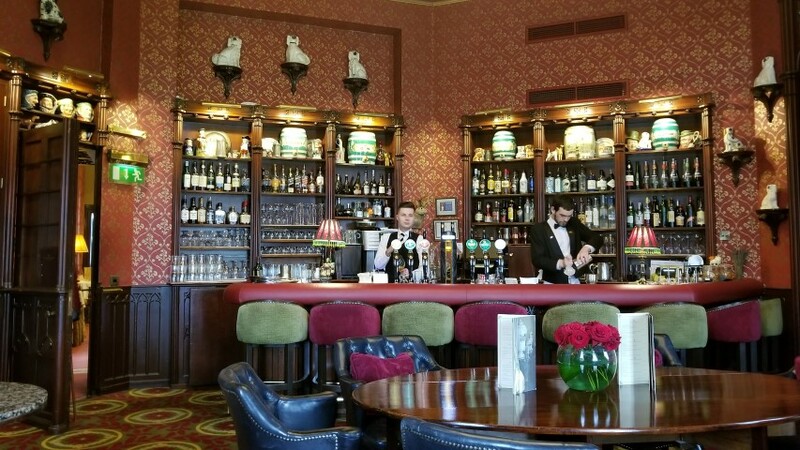 As we departed Killarney we headed off to Dromoland Castle, where we planned to live like the princesses we are on our final night in Ireland. Dromoland, however, was not the only castle that we saw on our trip. In fact, like most countries that have a long history, Ireland is full of castles. Most of them are ruins and we saw many instances of crumbling rock. But there were a few exceptions worth noting. First off, is Muckross House, which technically is not a castle but did house Queen Victoria for a couple of nights in 1861. It has spectacular grounds and gardens, sitting right on the lakes of Killarney. Our guide, Jack told us that in the late 1850’s the owner of Muckross House, Henry Arthur Herbert, spent a fortune prepping the house for Queen Victoria’s visit on the implied agreement that he would receive a Dukedom for his efforts. Unfortunately, the Queen’s husband, Prince Albert, died just three months after her visit and she forgot entirely about Herbert. By 1897 the estate was in financial ruin that is partially attributed to the money spent on the Queen’s visit. I guess even then it paid to get things in writing. 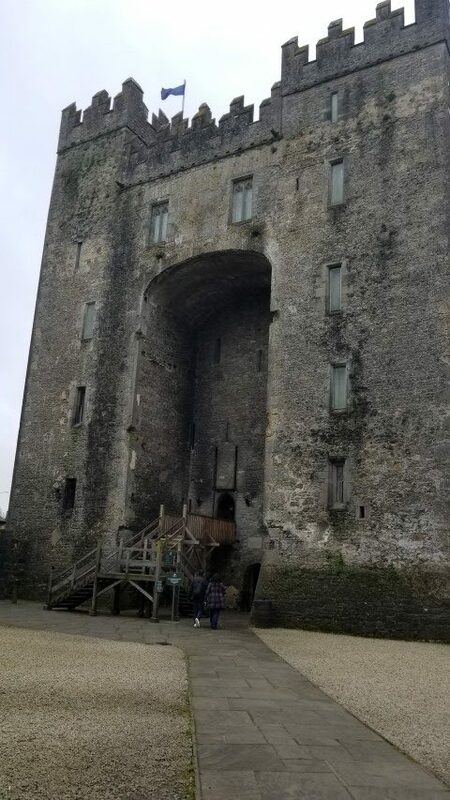 On our way to Dromoland we stopped at Bunratty Castle and Folk Park. The ‘folk park’ part of the title should have been our first clue that the fine people at Bunratty have figured out how to make a buck. I wonder if they’re Americans? The original castle was built in 1277 but the structure that still stands is a relative newcomer, erected in 1455. It is said that William Penn‘s father defended the garrison in 1646 as William lay in his crib inside the fortress. Who knows where Pennsylvania would be today if his father had been defeated? The folk part consists of many structures that were chosen from many different areas of Ireland to form a collection of typical 19th century buildings including the School, Doctor’s house, Pub, Printworks, Grocery, etc. 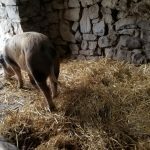 It was enlightening to see how primitively they lived – two rooms for a large family with more room for the horses than the children set aside within the house. The gift shop at Bunratty is a money-maker – really one of the nicest gift shops we saw so we all were calculating just how much more we could squeeze into our suitcases. Finally we arrived at Dromoland Castle, our lodging for the night. The castle grounds have been the home of castles for centuries but the current structure was built in 1800. It has been preserved with little change since the mid-19th century. 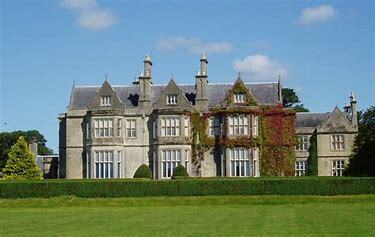 In 1962, Donough O’Brien, the sixteenth Baron Inchiquin, sold Dromoland Castle to American Bernard P. McDonough who converted it into a luxurious hotel. The luscious green gardens and golf course line the entry and we looked forward to exploring the pathways that meander throughout the property. Unfortunately our Irish luck on weather that had blessed us all week let us down – it was pouring rain. The weather, coupled with the fact that our room wasn’t ready, led us to repair to the lounge where they provided us with coffee and pastries. 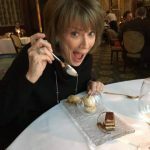 Once settled into our beautiful room we hoped for sunnier skies but, alas, it was still raining so…what’s a girl to do? We checked out the bar. It was everything an elegant bar should be and was the perfect setting on a gloomy day to continue our lager/Irish whiskey taste testing. Dinner was in the Earl of Thomand dining room, again elegant and intimate with service beyond compare and delectable food. 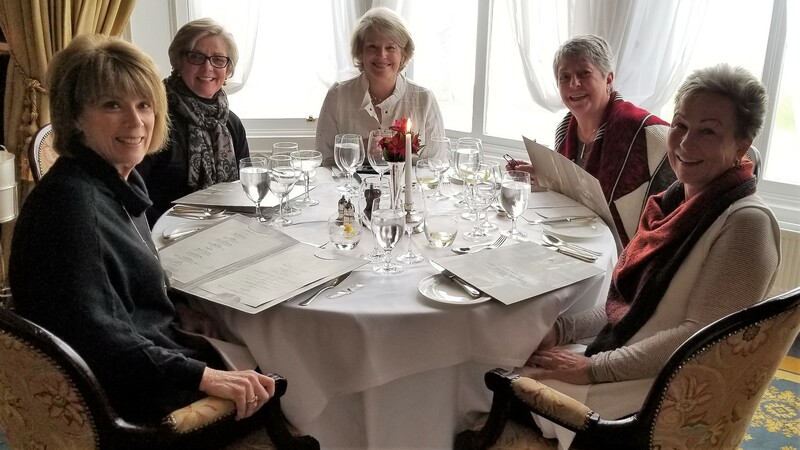 What a way to end the trip of a lifetime – beautiful scenery, wonderful cuisine and lasting friendships. The next day we left for the Shannon airport at 6 a.m. and from there flew to London. Twenty-one and a half hours later I was greeted at my front door by Dash the Wonder Dog. Ireland was great, but so was coming home. The Killarney Park Hotel: This hotel is the only five-star hotel in Killarney and it’s easy to see how they gained their reputation. The friendliness of the staff is beyond any I’ve ever experienced. By our second day there they knew us by name and always went out of their way to help us. The food and grounds are also magnificent. You cannot go wrong at this hotel. Killarney Tour and Taxi: Jack Hayden is the owner of this business and his five stars on Trip Advisor are well deserved. He is humorous, knowledgeable and a native of Kerry so he really knows his stuff. He figured out very quickly that we did not want to see every church and cliff so he would slow down, we’d open a window, snap a photo, and off we went. At times he insisted that we visit some historical sites and afterwards we were always glad he had. Besides his knowledge and humor, how can you go wrong with a guy who played “Red Solo Cup” so we could sing along? Guerin’s Path to Cliff Walk: As mentioned in my first Ireland post, Martin Guerin is a farmer who owns land that includes the visitors path at the Cliffs of Mohr. Read my first post to learn more about it, but all I can say is his personal tour beats the Visitor’s Center hands down. The Celtic Whiskey Bar and Larder and Sheehan’s Pub are both terrific places to visit. If you are lucky enough to be in Sheehan’s on a Saturday night you will most likely experience several “hen parties”, which only add to the experience. Irish people are friendly and like to drag us into their shenanigans! Mobile Passport App: We were advised by our travel agent to download the app and it was some of the best advice we got. We had pre-loaded it with our passport information and once we were taxiing to the gate in Phoenix we activated the passport clearance feature and we were through Passport Control in less than a minute. It also came in handy as we passed the Gestapo agent at customs. Diet: Okay, not really a recommendation but more of a caution. I was horrified when I got on the scale the day after my return. Unfortunately, my eating and drinking in Ireland closely resembled the hog we saw at Bunratty Castle. Oh well, I’ve got all summer to work the Guinness off my thighs.